Wheelbarrows, gardening and the National Trust. So following on from three previous posts about the wonderful gardens in Britain, Topiary or English Country Garden and Beautiful Flowers, today I would like to say something about the work of the National Trust and their commitment to conserving these gardens as they would have been enjoyed in years gone by. Today, the National Trust has over 200 gardens in its care. Some are 500 years old, others from the 20th century. From country houses to semi-detached and back to backs all these gardens are cared for with the same attention to detail so we can appreciate them today. Kitchen gardens often support rare breeds of both plants and animals and produce is used in National Trust restaurants. Clumber Park in Nottinghamshire has four acres of kitchen gardens alone. While Tatton Park only grows produce that was around before 1900. 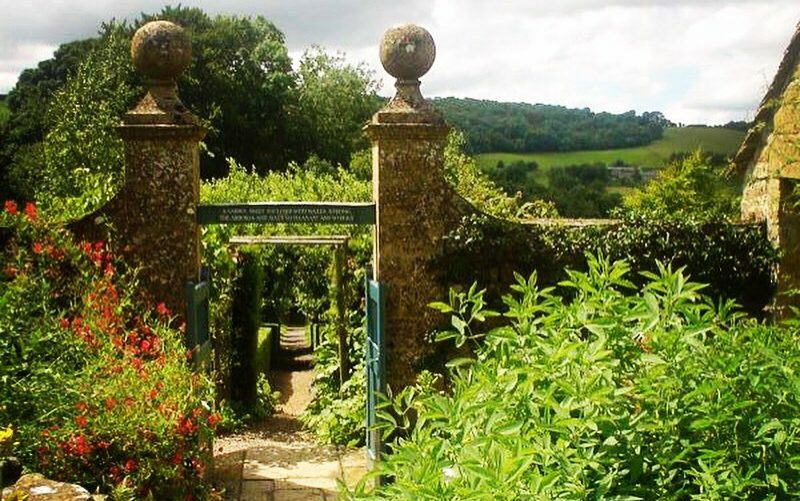 Some of the National Trust’s most famous gardens are: Stourhead, Biddulph Grange, Hidcote, Bodnant, Mottisfont, Blickley Estate, Cragside and Sissinghurst. But really any country house will have something beautiful to see. From mazes to Elizabethan parterres and everything in between a visit to one of these gardens will not disappoint. Fun Tip: There is a gourd tunnel in the Australasian gardens of Dyffryn, take a look at all the weird and wonderful varieties of gourds…from Speckled Swan to Red Warty Thing…there are a plethora of interesting examples. More information can be found on the National Trust website and for Dyffryn here.